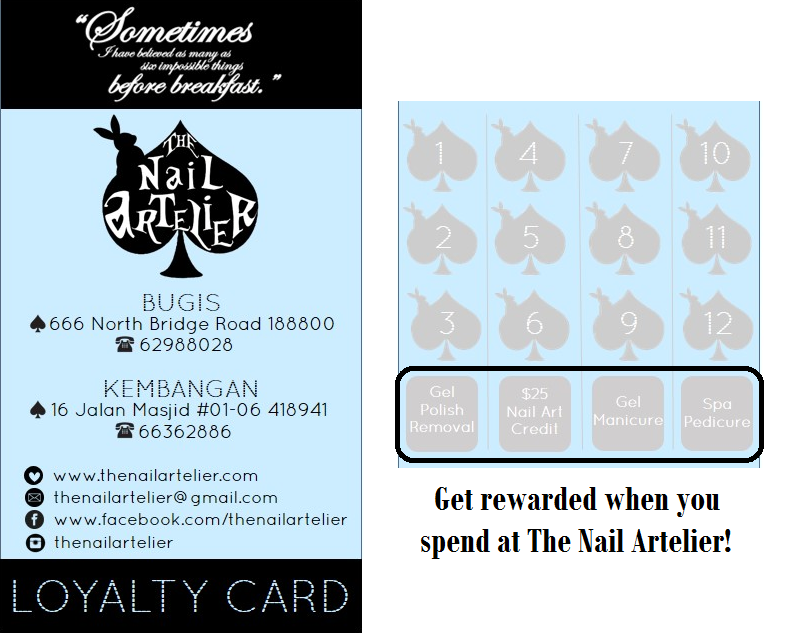 Enjoy rewards when you spend at The Nail Artelier! Starting 1 Jan 2015, get stamps on your loyalty stamp card when you spend min. $80*! By the time you accumulate 12 stamps, you would have earned rewards worth up to $185 in total! – Earn 1 stamp for every $80 spent in a single receipt (not applicable for discounted/promotional services). – This card is the sole responsibility of the cardholder. 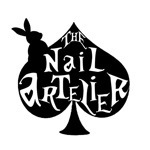 The Nail Artelier is under no obligation to replace any lost, stolen or damaged cards. – This card is non-transferable and is valid one year from the date of issue. – Rewards cannot be redeemed during the CNY surcharge period. – The Nail Artelier reserves all rights to amend the terms and conditions without prior notice. 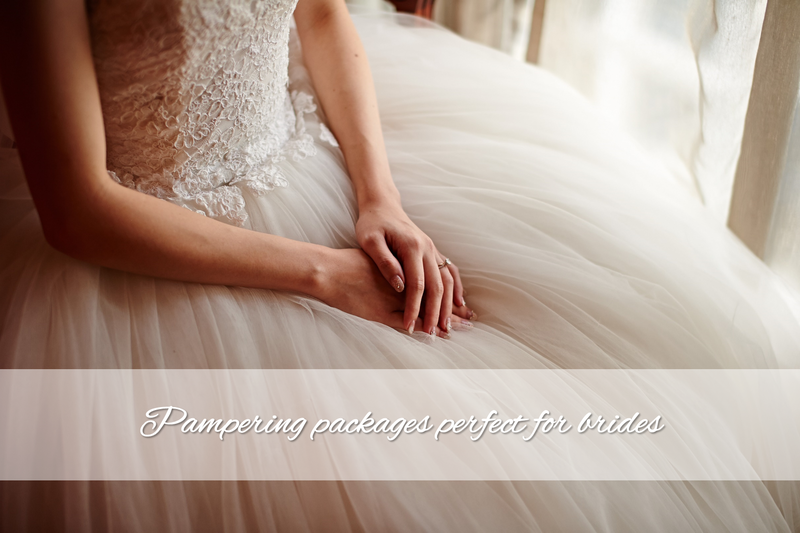 Our services are a la carte and we don’t have mani pedi packages apart from the bridal packages. We however have the loyalty card scheme where you can get stamps for each $80 spent, and redeem rewards. Do call us for faster booking!